First time shooting with cosplayer Katelyn (@Katemgee) who did a great job posing despite not being able to see through the mask. 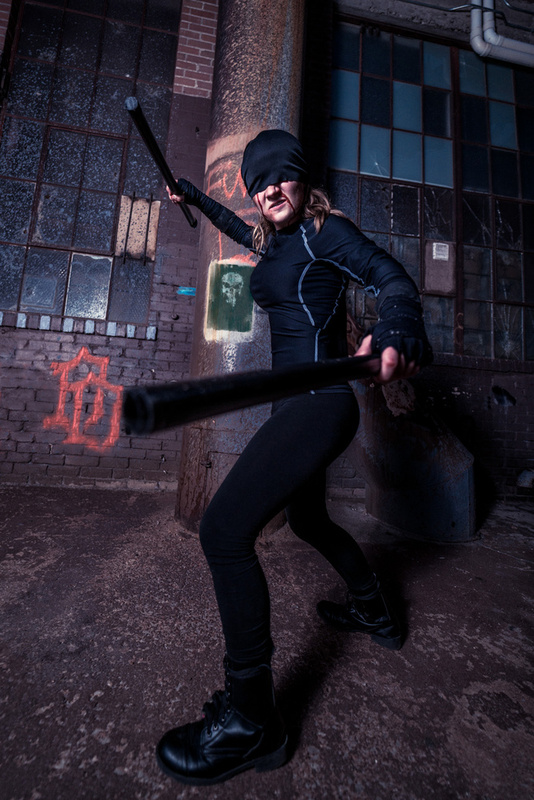 This was for a series with @Machetemike as The Punisher facing off against Katelyn as a female version of Daredevil in a variation of the street costume seen in the first season of the Netflix series. I also used this shoot to test out the Rokinon AF 14mm f/2.8 on the A7RII. Face tracking seemed to work pretty decent despite having half of her face obscured, but for some shots I did have to switch to manual. Overall though I was pretty happy with the lens despite the usual edge softness seen glass this wide.